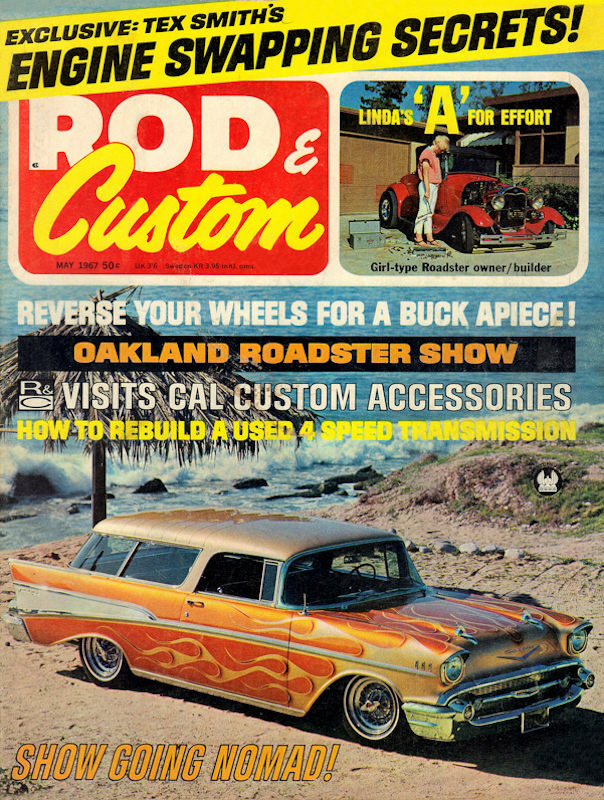 Sam Hollingsworth's original Nomad, as seen on the May 1967 cover of Rod & Custom. The car was later repainted and is now living in Canada. 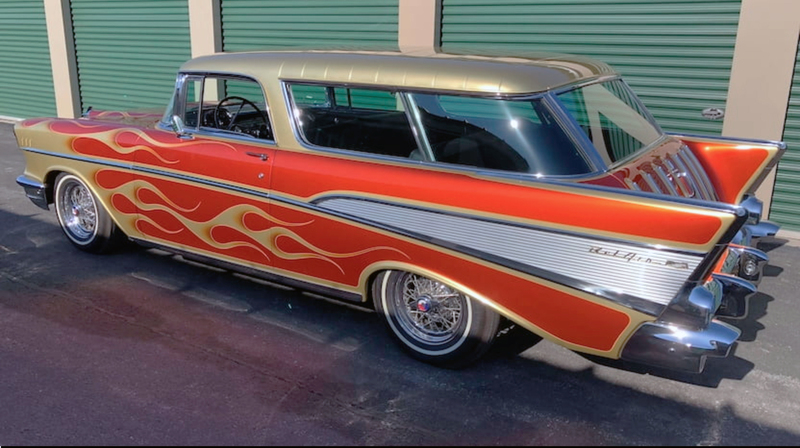 Last Friday in our email about the McMullen Roadster auction we mentioned that Richard Graves’ clone of Sam Hollingsworth’s flamed ’57 Chevy Nomad was also being auctioned. As it turns out, we were mistaken. The flamed ’57 crossing the block at Mecum’s Kissimmee Auction is indeed a clone of Hollingsworth’s famed custom, but it’s not the version created by Richard Graves and featured in TRJ #48. This is the Hollingsworth Nomad clone that will be up for auction in January. From the flamed paint to the Buick Skylark wires, it captures the essence of Sam's '57. You can see the complete listing here. We've long been fans of the Hollingsworth Nomad, and if you'd like to see more, make sure to check out the "RJ Times" section of the current issue, TRJ #80, as well as in TRJ #72. There you'll find previously unpublished photos of the famous Dennis Ricklefs-sprayed flame job in progress and photos of the original car as it sits today. More than half a century after Sam's '57 hit the streets, it's still one of our all-time favorites. Richard Graves' clone of The Sam Hollingsworth Nomad is shown here in our TRJ studio. Dennis Ricklefs painted both the original and Graves' tribute.